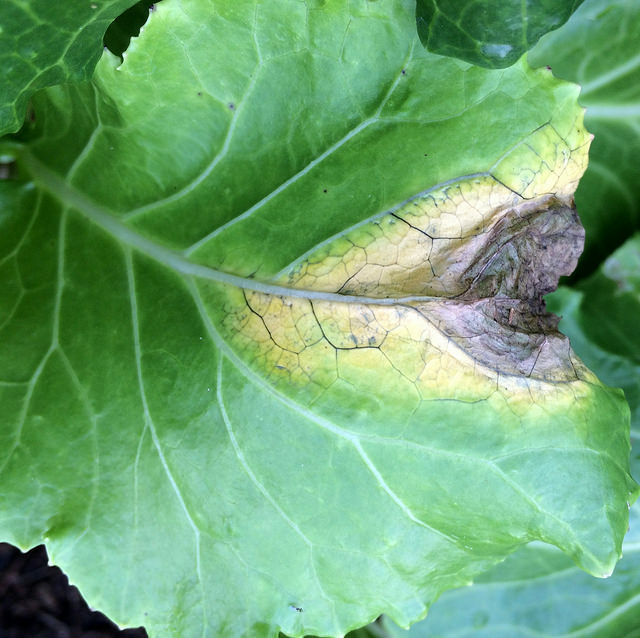 Problem Description The disease starts leaves touching ground turn pale yellow. The disease starts appearing with the first earthing up of the crop. Initially lower leaves touching ground turn pale yellow and lose turgor. On these leaves small irregular dark brown to black necrotic lesions appear covered with white cottony mycelial growth of the fungus.